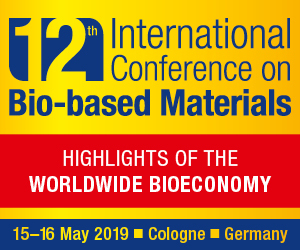 The cutting-edge bio-plastic Minerv-PHA developed by Bio-on is now available in the prestigious database “Materials Library” of Material ConneXion, the world’s largest resource for innovative and sustainable materials and processes. This resource, both as a physical samples library and an online searchable database, with thousands of references, aims to collect only the most interesting materials from the point of view of innovation, technical characteristics and possible application. Minerv-PHA is 100% biodegradable in nature and is obtained from agriculture and agro-industrial wastes, feedstock not in competition with food chain. Minerv-PHA is an high performance biopolymer and, thanks to is versatility and thermo-mechanical properties, is able to substitute traditional plastics; the bio-plastic has been already tested in dozens of applications addressing different sectors such as automotive, design, food, toys and biomedical. The bio-plastic Minerv-PHA, after being carefully assessed in 2015 by an international and interdisciplinary jury, received the “Certificate of Material Excellence” and was included in a virtual library and exhibited in New York, at the general headquarters of Material ConneXion. Starting from 2016 Minerv-PHA will be available through representative samples of the product at Material ConneXion’s New York headquarters, and also at the other physical libraries of Material ConneXion in Bangkok, Bilbao, Daegu, Milan, Skövde and Tokyo. 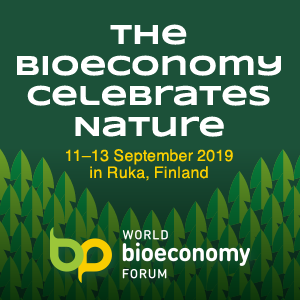 “It is an important goal for Bio-on – said Marco Astorri, president of Bio-on – and for those who are interested in using the materials of the future: companies, designers, architects, students, from now, thanks to Material ConneXion, will be facilitated in knowing Minerv-PHA. Our company has recently granted three industrial licensees for the production of PHAs in Italy, France and South America with plants that will produce globally 20k tons per year of bio-plastic. In these months we are working to increase this production capacity so to answer at the worldwide increasing demand for this interesting biopolymer”. Bio-on PHA bioplastic has already obtained from USDA the renewal of the biobased certification issued in 2014. The USDA Certified Biobased Product Label certifies that the quantity of ingredients from biological sources used to make the products being certified meets the levels set by the Department. 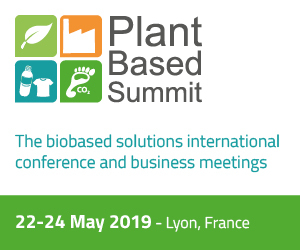 Biobased products are the finished or intermediate materials made up entirely or to a significant extent of agricultural, forest or marine ingredients. All requests for certification are verified by integrated and independent laboratories and monitored by the USDA. Consumers can thus have full confidence and be able to make better-informed buying decisions. “We are proud that Bio-on has earned the USDA Certified Biobased Product Label,” said Ron Buckhalt, USDA BioPreferred Program Manager, “Products from biological sources add value to renewable agricultural raw materials, create jobs in rural communities and help our society reduce its dependence on non-renewable raw materials such as oil”. Ottimo risultato spero che trovi una vasta applicazione .